Eat smart this holiday season! We have officially entered the ber-months—the time when we forget about our diets and cross our fingers that we'll still fit into our clothes after the holidays are over. 1. It's perfect for Oktoberfest! 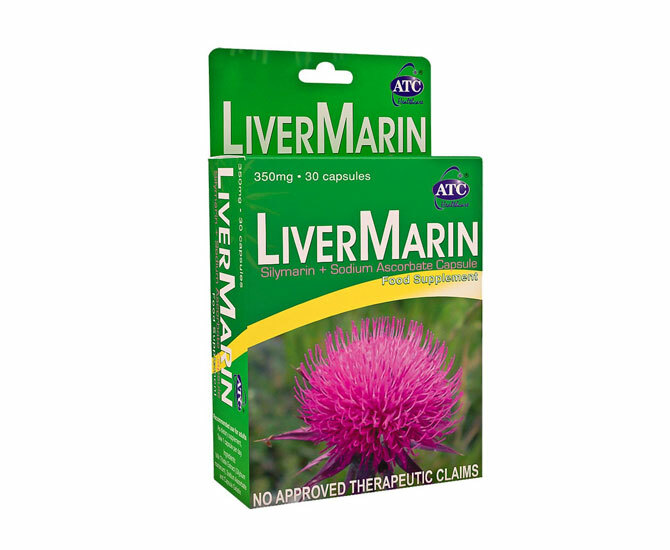 It's totally fine to drink and party the night away, but make sure you have back up: LiverMarin has 250mg of Silymarin which helps in managing the body’s SGPT and SGOT—tissues in the bloodstream that indicate liver, heart, or kidney problems. 2. We get to eat that extra slice of fruit cake. Silymarin, an active ingredient in milk thistle, also acts as an antioxidant to flush out all the toxins you get so you can make room for more dessert. Don’t forget lots of water and a morning-after jog—it's always better to balance everything with an active lifestyle. 3. No need to spend on Vitamin C! Aside from being affordable (at Php 7.50 apiece), LiverMarin also allows you to save the dough you usually spend on vitamins. It has 100mg of Ascorbic Acid in it which not only aids in the effective absorption of Silymarin, but also helps fight infections and boost your immune system. It even lets your wounds heal faster and treats common ber-month diseases like flus and colds. 4. We can say bye to fatty liver. Natural supplements like LiverMarin will let you eat an extra serving of lechon because it keeps fatty liver, liver cirrhosis, and other drug- and alcohol-induced liver issues at bay. Doctors even prescribe it in treating acute viral hepatitis. But if you’re already under medication, make sure you ask your physician about taking LiverMarin first. LiverMarin also helps regenerate liver cells to make sure it’s healthy all throughout the holiday season—and beyond. You can easily get LiverMarin at all Mercury Drug branches and other drugstores nationwide. For your inquiries, you may contact ATC Healthcare Customer Care through these numbers: 516-8888, 0909-3333333 or 0917-5623333.